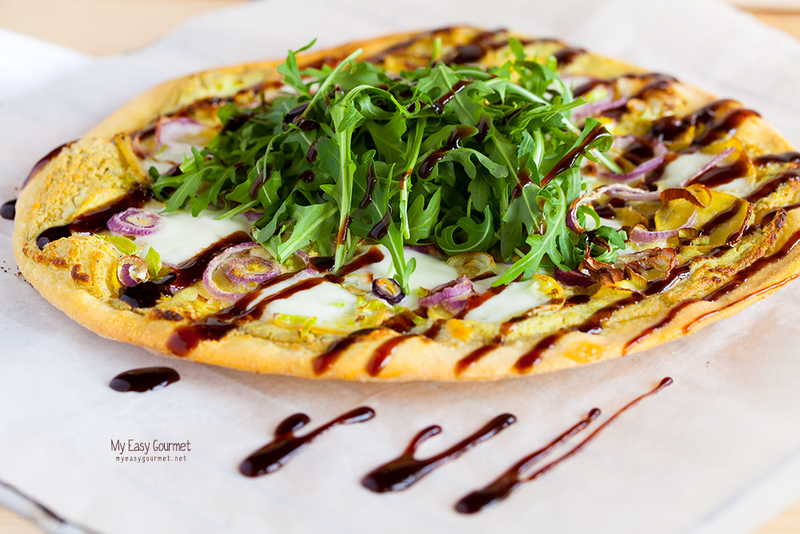 Pesto Ricotta Pizza with Potatoes, Leek, Red Onion and Fig flavoured Balsamic Cream. Pesto and ricotta make the perfect creamy base for your pizza and can also be used as a dip or a meat sauce. The pesto sauce gives a salty touch and the leeks add to the sweetness, while the potatoes balance out the sweet-savory combination. 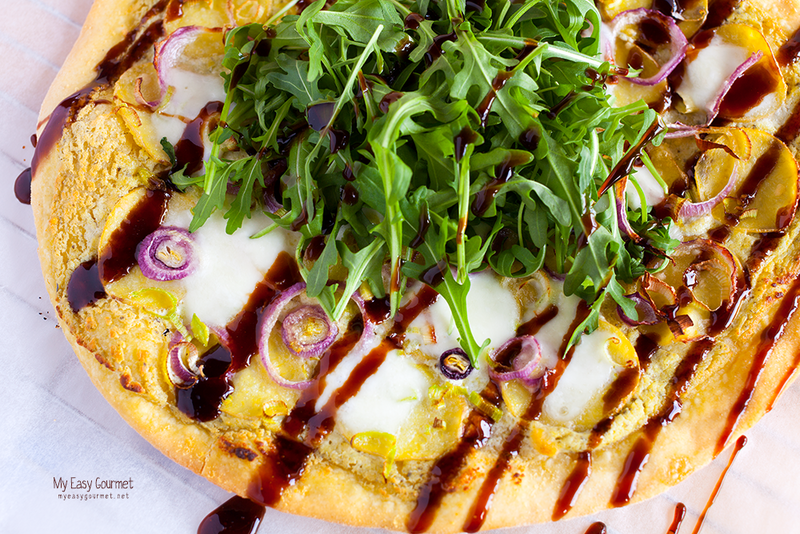 Top with baby arugula and drizzle with some balsamic cream, regular will do if you don’t have fig flavoured. 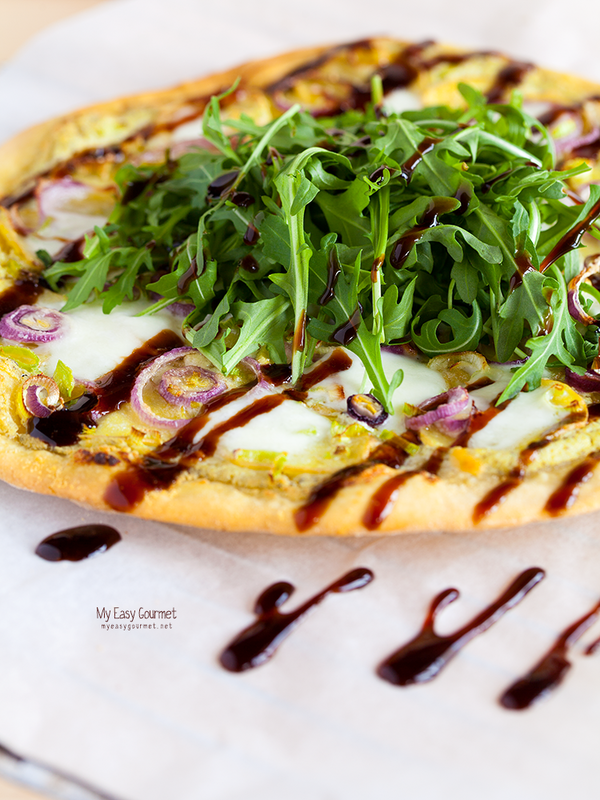 This is a very interesting combination of savoury and sweet ingredients on thin crust pizza, covered in creamy aromatic pesto sauce. 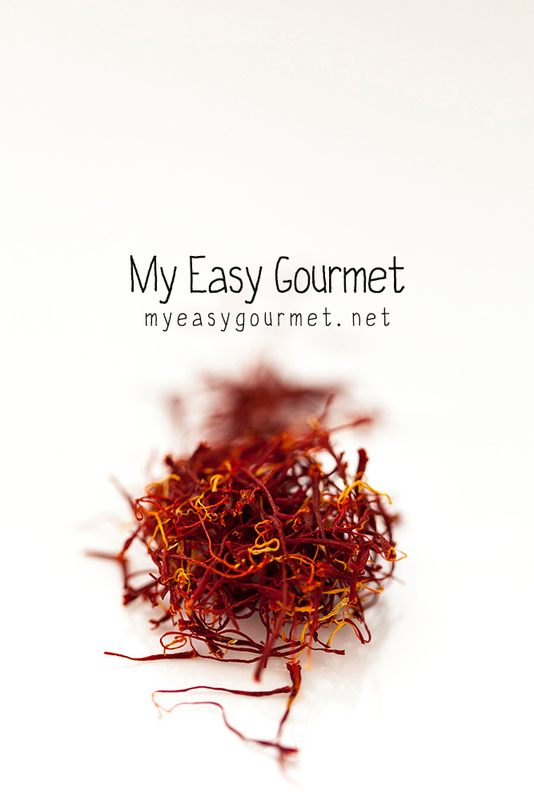 Preheat the oven on maximum heat for about 30 minutes. Place the pizza stone on the bottom of the oven, if you’re using one. In a small bowl mix the pesto sauce, the ricotta and the olive oil. Season with some pepper. 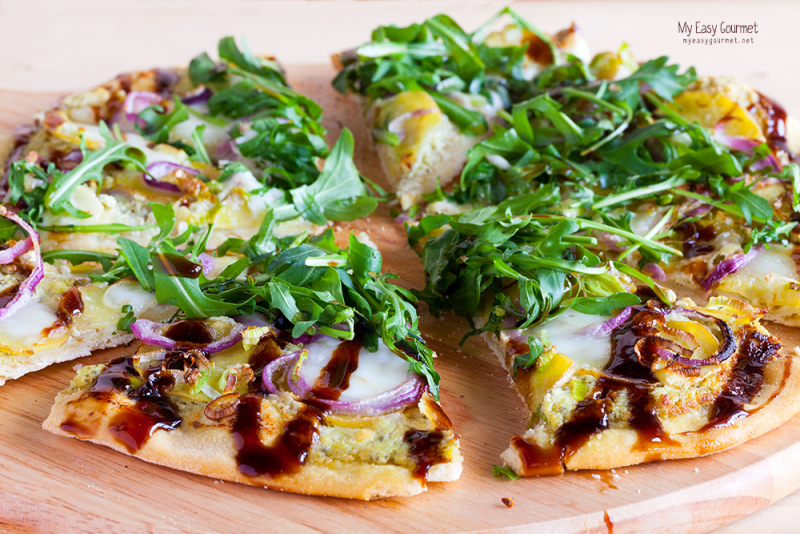 Roll out the pizza base and spread the pesto sauce evenly. Cover the sauce with a layer of potatoes and top the pizza with the onions and leek. Spread the pecorino cheese. Bake the pizza placing the tray directly on the bottom of the oven and bake for about 7-8 minutes. Two minutes before it’s baked, shred the mozzarella with your hands and add it to the pizza. 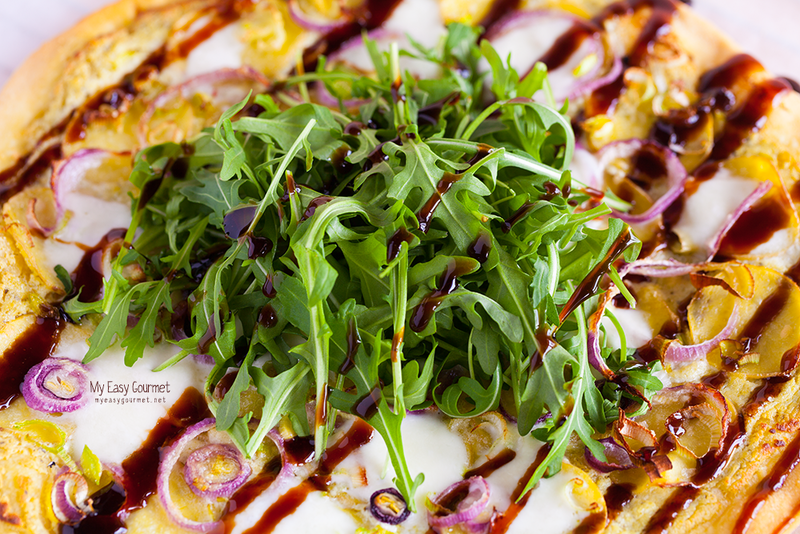 Remove the pizza from the oven, let it rest for 2 minutes and top it up with arugula leaves and drizzle some balsamic cream. Thin crust pizza with poached eggs. Pesto pizza with porcini and haloumi cheese.